During Winter and some early Spring shipments. Some of the plant materials in this shipment are DORMANT. Which means that even thought they have no green top growth, they will grow from dormant buds when temperatures are right. For many perennials, This 'rest period' is ESSENTIAL to good flowering performance in the upcoming season. During Summer/Winter months shipping might be delayed as we only will be shipping on days that we know it won抰 harm the plant(s). Monday through Wednesday. Clammy azalea is a loose, open, deciduous shrub growing to 12 ft. in width, but averaging only about 5 ft. tall. The leaves, clustered at the end of branches, are 1 1/2�1/2 inches long and 5/8�1/2 inches wide, deciduous, lustrous, green on both sides, with short stems. The sweet-scented flowers are white, with a lavender tube slightly enlarged at the base, 1 1/4�3/4 inches long with 5 narrow, petal-like spreading lobes. The 5 stamens are extended. Fall foliage is orange to maroon. This typical wetland shrub is sometimes called the Clammy Azalea because of its very sticky corolla. The species name means sticky in Latin. The flowers appear after the leaves. 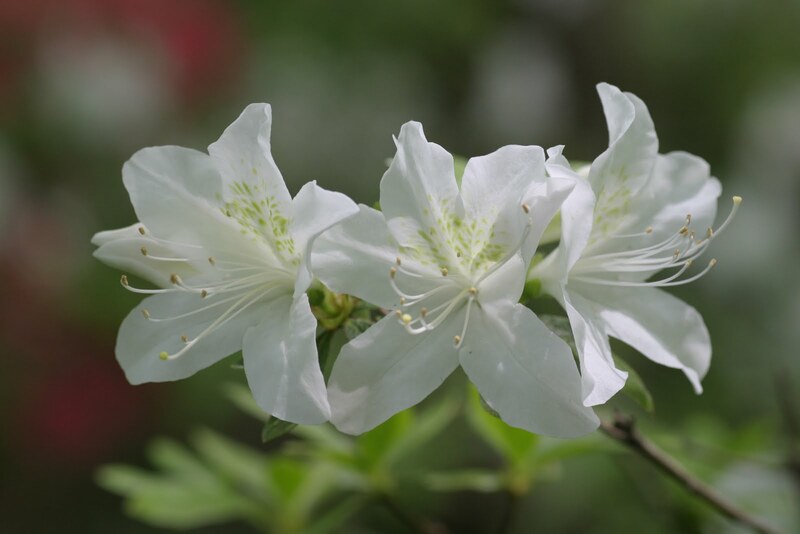 Another white wetland species of more southern distribution, the Smooth Azalea (R. arborescens), has smooth twigs, leaves without hairs, and red stamens. Dwarf Azalea (R. atlanticum), with white or pink fragrant flowers on a shrub 3-4 (90-120 cm) tall, is common in deep and along the coastal plain from southern New Jersey to South Carolina. This item might be shipped in a 2x3 inch pot if not it will be pulled from the pot wrapped in moist wrap and shipped in that manner. info@bulbsnblooms.com. We will locate the item you抮e looking for along with getting a quote sent out to you. We love to hear from our loyal customers!